Units 1 and 2 are two-loop PWR reactors known as CNP-600 based on an improved design of the CNP-300 of Qinshan I. “企业简介 [About Us],” Qinshan Nuclear Power Company, Ltd., www.qnpc.cn. “Nuclear Power Reactor Details - QINSHAN 1,” IAEA Power Reactor Information System, www.iaea.org. 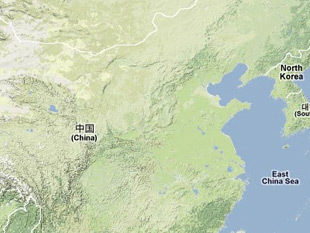 David Biello, “China Forges Ahead with Nuclear Energy,” Nature News, 29 March 2011, www.nature.com. “Nuclear Power in China,” World Nuclear Association, 22 September 2011, www.world-nuclear.org. "Chinese Nuclear Reactor Was Shut Down After Leak in Cooling System," Agence France-Presse, 8 May 2000. “Chinese Nuclear Accident Revealed,” BBC, 5 July 1999, www.bbc.co.uk. Liu Yiyu, “New Nuclear Plants May Get Green Light Soon,” China Daily, 12 August 2011. “Nuclear Power Reactor Details - QINSHAN 2-1,” IAEA Power Reactor Information System, www.iaea.org; “Nuclear Power Reactor Details - QINSHAN 2-2,” IAEA Power Reactor Information System, www.iaea.org; “Nuclear Power Reactor Details - QINSHAN 2-3,” IAEA Power Reactor Information System, www.iaea.org; “Nuclear Power Reactor Details - QINSHAN 2-4,” IAEA Power Reactor Information System, www.iaea.org. “Nuclear Power Reactor Details - QINSHAN 3-1,” IAEA Power Reactor Information System, www.iaea.org; “Nuclear Power Reactor Details - QINSHAN 3-2,” IAEA Power Reactor Information System, www.iaea.org. “Third Qinshan Nuclear Power Co. Ltd.,” China National Nuclear Corporation, www.cnnc.com.cn; “Qinshan Phase III: A Resounding Success,” Atomic Energy of Canada Limited, March 2006, www.aecl.ca.